Is your time at a premium? Do you hate having multiple visits for crowns? We Have a Solution for YOU! 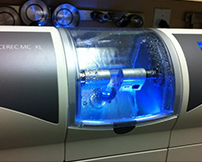 CEREC ONE-VISIT CROWNS! Both (In-Office) endodontists and periodontists work closely with each other and with general dentists to ensure that patients receive quality care.